Winter is a quiet time in Wine Country, an opportunity for locals to have more of Sonoma to themselves, and many tasting rooms offer fireplaces and cozy corners. Grapegrower John Balletto keeps some fruit for his own wines, a selection of site-specific Chardonnay, Pinot Noir and other varieties. Don’t miss his sparkling wine and rosé of Pinot Noir, made by Anthony Beckman in a crisp, classic style. 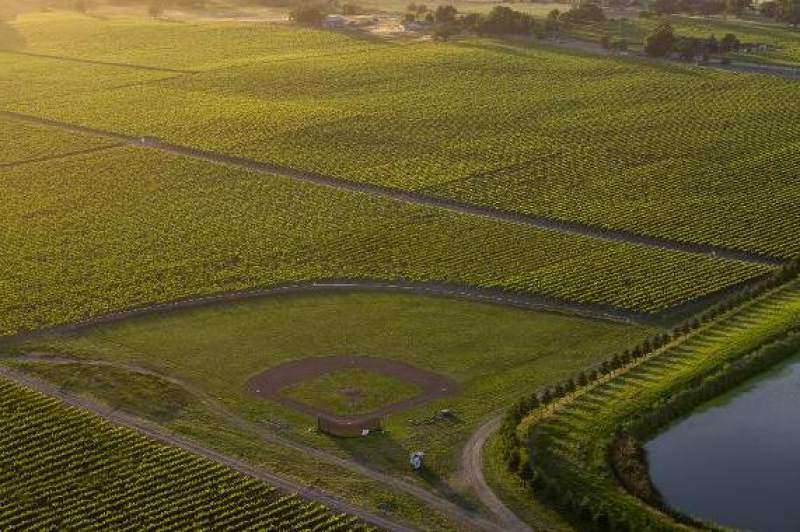 The winery is also home to the Field of Dreams, a regulation-size baseball field enjoyed by employees and surrounded by vines. 5700 Occidental Road, Santa Rosa, 707-568-2455, ballettovineyards.com. The “field of dreams” at Balletto Vineyards in Santa Rosa. 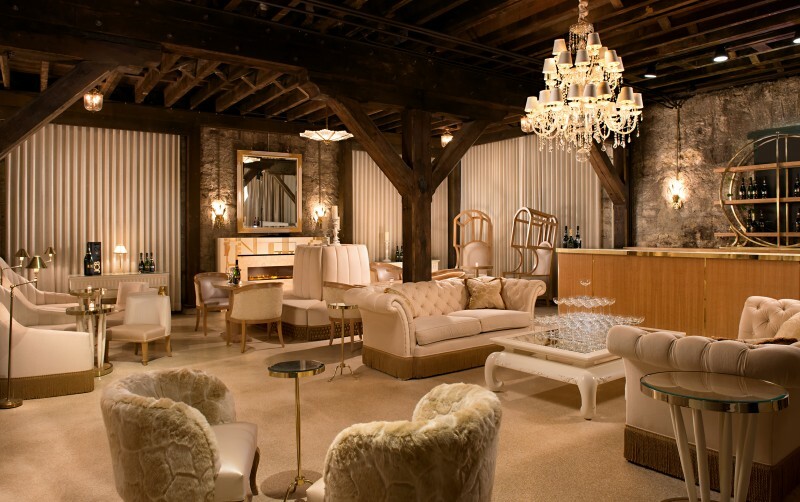 Jean-Charles Boisset’s grand restoration of this historic property has delights and diversions aplenty. But fall and winter are great for whiling away your time inside the wine caves for Wine & Music, a 90-minute tasting of four to five wines paired with recorded classical music snippets, intended to test your senses ($75). On the last weekend of each month, the music is performed by the violin-piano duo Steel and Ivory ($125). 18000 Old Winery Road, Sonoma, 800-926-1266, buenavistawinery.com. Open by appointment only, Donum is one of the finest producers of Pinot Noir in Carneros, as well as smaller amounts of Chardonnay. Anne Moller-Racke is the viticulturist extraordinaire behind the wines, produced Dan Fishman and Kenneth Juhasz. 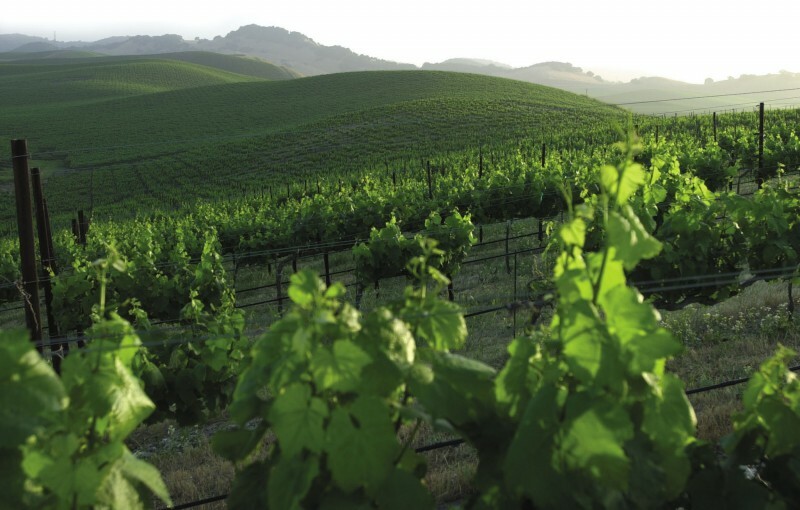 Don’t miss the West Slope Carneros Pinot Noir, grown on the Donum ranch. 24500 Ramal Road, Sonoma, 707-939-2290, thedonumestate.com. The Donum Estate winery in Carneros. Eric Flanagan recently acquired this site, the former Everett Ridge Winery, and the tasting room is open by appointment only. He offers vineyard-designated Pinot Noirs and Chardonnays from the Russian River Valley and Sonoma Coast, and Syrah, Merlot and Cabernet Sauvignon from Bennett Valley. 435 West Dry Creek Road, Healdsburg, 707-591-6860, flanaganwines.com. Open for tastings by appointment only, Gary Farrell is well worth the effort. Its Chardonnays, Pinot Noirs and Zinfandels are all exceptional, made by Theresa Heredia. 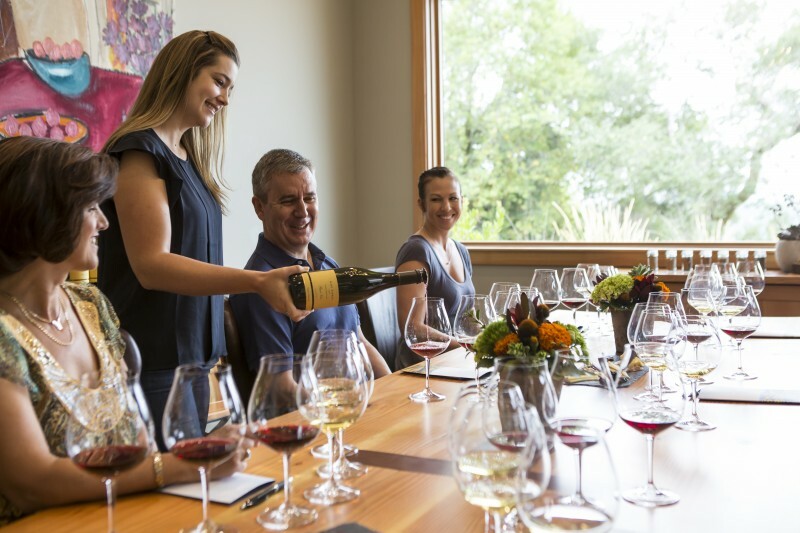 Book a Sense of Place Terroir Tasting ($55), a 90-minute exploration of current and library wines, or a more relaxed Terrace Tasting ($30) of six single-vineyard wines with a jaw-dropping view of the Russian River Valley. 10701 Westside Road, Healdsburg, 707-473-2909, garyfarrellwinery.com. This historic winery has a wealth of wines to taste, and in cooler weather, it’s a good place to hunker down in the caves for a tasting. 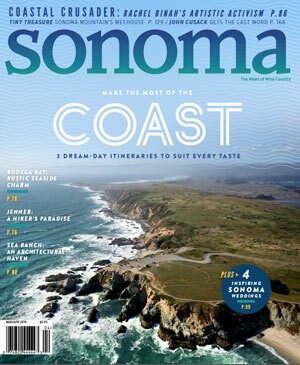 The Sonoma Coast Gewürztraminer is a particularly rewarding wine to try, as well as Cabernet Sauvignon, Merlot and Tempranillo. 2000 Denmark St., Sonoma, 707-938-5277, gunbun.com. A small, family-owned winery, it’s known for its motto, “Darn Fine Barn Wine!” J. Rickards makes excellent old-vine Zinfandel, Petite Sirah and Malbec, and don’t miss the Croft Vineyard Sauvignon Blanc. The winery will arrange for box lunches for visitors, prepared by Big John’s Market in Healdsburg (reservations required). 24505 Chianti Road, Cloverdale, 707-758-3441, jrwinery.com. Jigar Patel makes a range of Sonoma wines, including Dry Creek Zinfandel and Russian River Valley Chardonnay and Pinot Noir. In addition to this tasting spot on the main drag in Forestville (open daily), he offers private tastings at his cellar in Healdsburg. Make a reservation on the website. 6615 Front St., Forestville, 707-874-6123, jigarwines.com. En route to the Sonoma Coast, stop at Joseph Phelps’ Freestone tasting room, where its Sonoma and Napa Valley wines are served. Outdoor picnic tables are available. The Second Sunday event each month, from noon to 4 p.m., showcases the wines with local foods ($35). Reservations are required. 12747 El Camino Bodega, Freestone, 707-874-1010, josephphelps.com. A companion to the producer’s tasting room in downtown Healdsburg, this one pays loving tribute to the late Saralee Kunde and her beautiful vineyard in the heart of the Russian River Valley, now owned by Jackson Family Wines. Open daily, it offers interactive tasting experiences that include private vineyard tours ($65) and detailed tasting flights of Chardonnay and Pinot Noir. 3575 Slusser Road, Windsor, 707-525-6200, lacrema.com. Enjoy cool-climate, vineyard-designated Pinot Noirs and Chardonnays at the tasting room at the Barlow center, with reserved tastings available Thursday and Sunday, noon to 5 p.m., and Friday and Saturday, noon to 6 p.m. Also sample Pinot Meunier from the Van der Kamp Vineyard atop Sonoma Mountain. 180 Morris St. Sebastopol, 707-827-4933, lafollettewines.com. Planted in the 1960s on Sonoma Mountain, the Laurel Glen vineyard has long enjoyed a reputation for producing age-worthy, classically structured Cabernet Sauvignons. 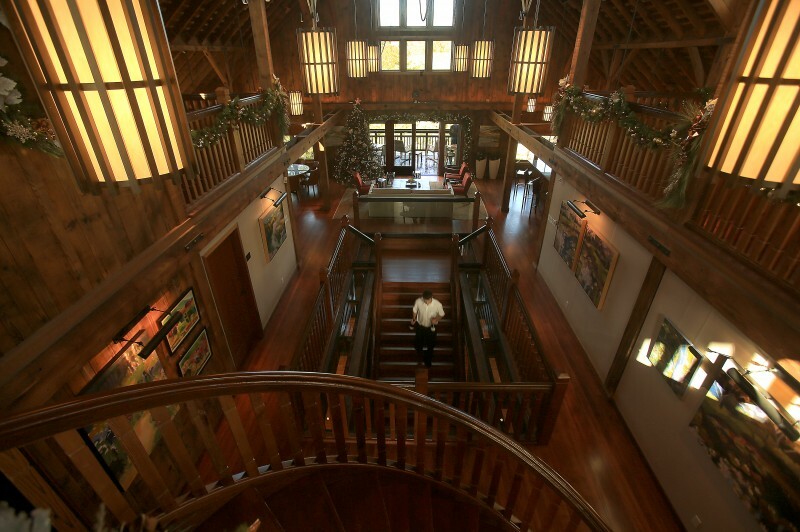 It continues that tradition, and the wines are poured in an intimate Glen Ellen tasting room, with reservations advised. Winemaker Randall Watkins and consultant David Ramey produce lovely Cabernet Sauvignons, and a 2015 Blanc Slate Sauvignon Blanc was added this year. 969 Carquinez Ave., Glen Ellen, 707-933-9877, laurelglen.com. Some very exciting wines are coming out of Limerick Lane in the Russian River Valley, farmed and looked after by the brothers Bilbro, Jake and Scot. Old-vine Zinfandel, Syrah and Rhone-driven blends compel in every way, with refreshing acidity and class. Tastings are by appointment. 1023 Limerick Lane, Healdsburg, 707–433-9211, limericklanewines.com. Lynmar is among the finest producers of Russian River Valley Pinot Noir and Chardonnay, and is a worthwhile visit. 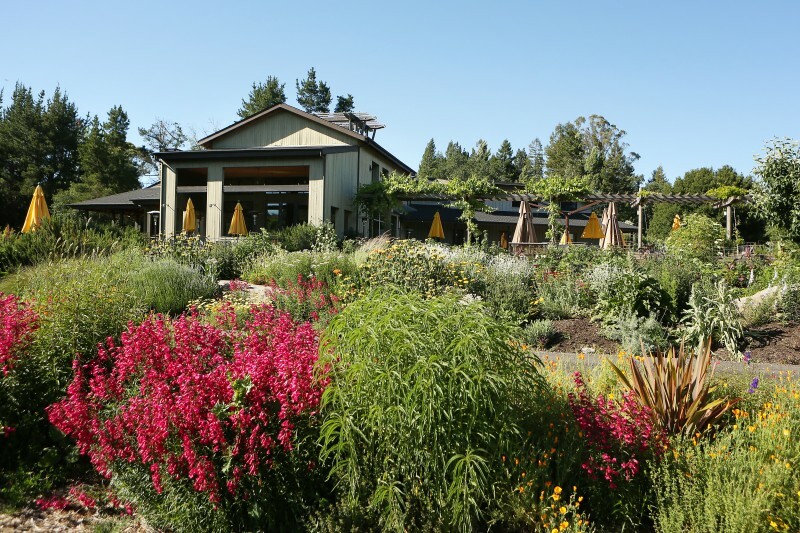 There are gardens, seasonally inspired and gorgeous, and the Lynmar Lunch is a 90-minute chance to take in several of the estate’s wines with a three-course, farm-totable meal. 3909 Frei Road, Sebastopol, 707-829-3374, lynmarestate.com. A tiny, one-man operation, MacLaren’s Steve Law makes a crisp, delightfully complex Sauvignon Blanc, called Lee’s, named for his mom, as well as heady, cool-climate Syrahs. The tasting lounge is relaxed and intimate, with Law usually on hand to pour the wines. 27 E. Napa St., Sonoma, 707-938-7490, maclarenwine.com. Lovely gardens and plenty of picnic spots await at this off-the-radar spot in the heart of Russian River Valley. Join a garden tasting ($15) or enjoy a Tower flight ($10), a sampling of Chardonnay, Pinot Noir, Cabernet Sauvignon and much more. Picnic lunches, cheese platters and charcuterie can be ordered 48 hours in advance. 2191 Laguna Road, Santa Rosa, 707-8232404, martinraywinery.com. 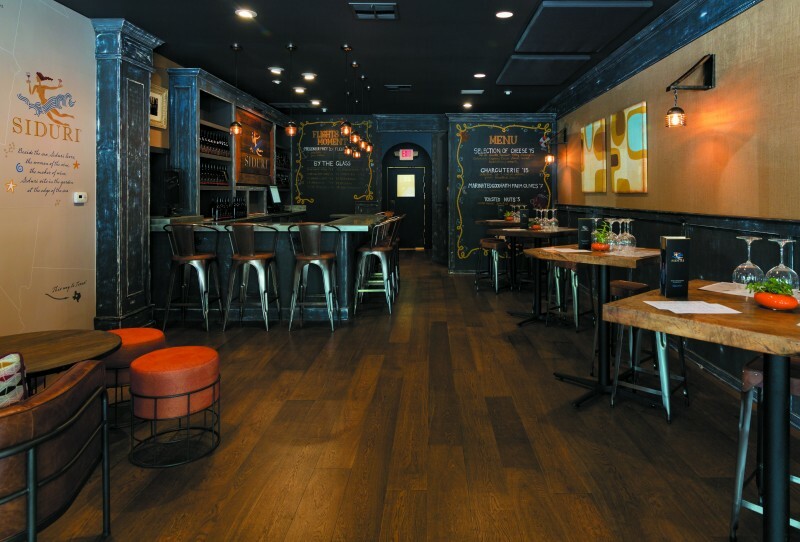 The Sonoma House at Patz & Hall is an expansive space designed for intimate tastings. They include the Salon Experience, a seated, byappointment tasting of six vineyarddesignated Chardonnays and Pinot Noirs, paired with locally sourced bites. Lasting about an hour, it costs $60 per person, with a 10-person limit. A more casual Tasting Bar is set up for shorter tastings, Thursday through Monday, 10 a.m. to 4 p.m., by reservation. 21200 Eighth St. E., Sonoma, 707-265-7700, patzhall.com. This venerable Zinfandel producer, and creator of the “No Wimpy Wines” motto, celebrates its 40th anniversary in 2016, with special anniversary bottlings released to honor the milestone. Walk-in tastings continue daily, along with private tours, tastings and blend-your-own seminars. 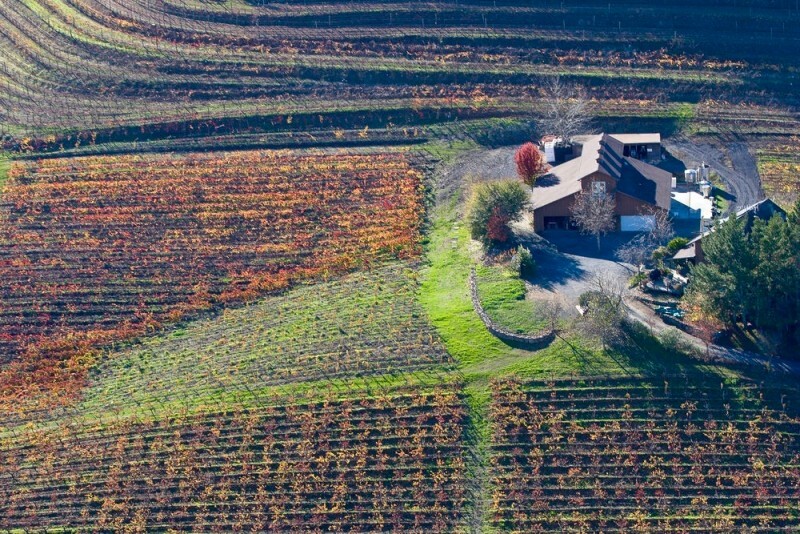 18701 Gehricke Road, Sonoma, 888-669-4679, ravenswoodwinery.com. The seating area at Siduri Wine Lounge in Healdsburg. 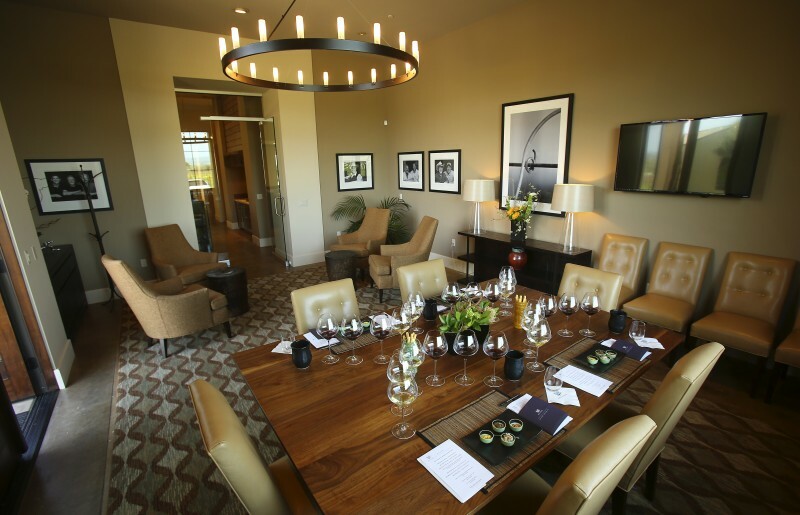 Opened in August, this relaxed space is intended for tasting the winery’s extensive range of Pinot Noirs, made from grapes grown in Oregon and throughout California ($20). Five wines and seasonal small bites from chefs Marianna Gardenhire and Daniel Kedan of Backyard in Forestville are $45. Wines are also sold by the glass, as are snacks and more substantial dishes, such as crab rolls and fried chicken. 241 Healdsburg Ave., Healdsburg, 707-433-6000, siduri.com. 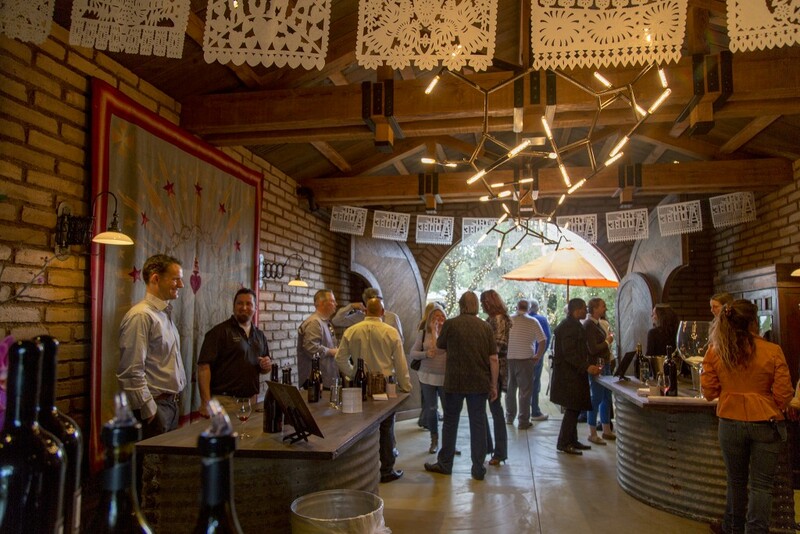 Enter the renovated Vallejo-Casteñada Adobe for an elevated tasting of a thrilling array of wines, many of them vineyard designates. With Bob Cabral at the winemaking helm, the Chardonnays and Pinot Noirs are of particular interest; there are also Cabernet Sauvignons from Moon Mountain District and Napa Valley. 143 W. Spain St., Sonoma, 707-996-3328, threestickswines.com. The tasting room at Three Sticks Wines in Sonoma. Off the square in Sonoma, WALT recently introduced Root 101, a Pinot Noir tasting that showcases five singlevineyard wines. 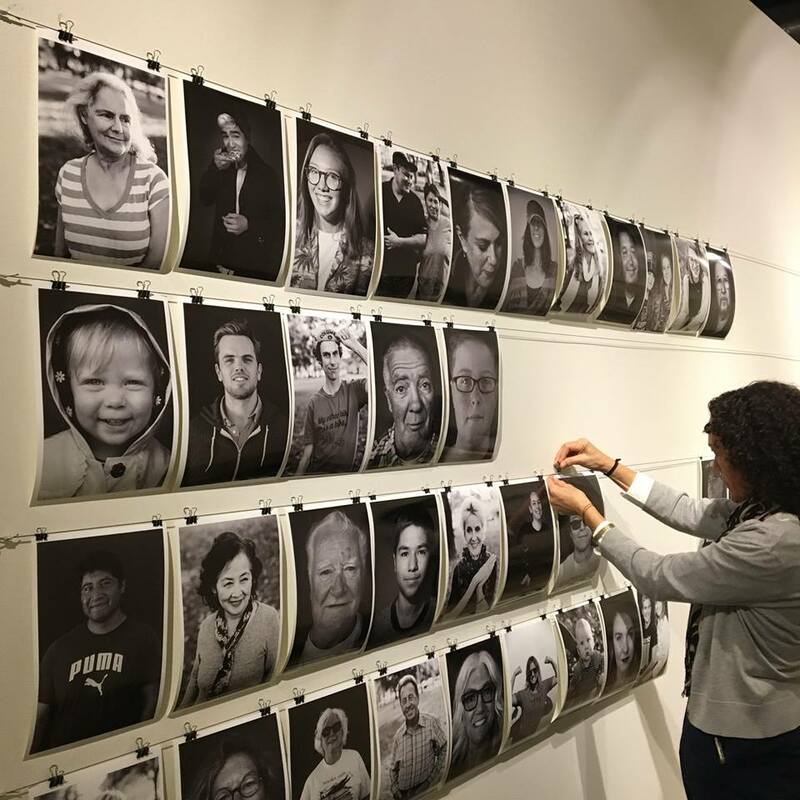 Reservations are required for this hour-long experience, available daily at 11 a.m. and 2 p.m. It includes small bites prepared by neighbor the girl & the fig ($60). 380 First St. W., Sonoma, 707933-4440, waltwines.com.